Medicinal mushroom are lauded for their capacity to bring the human body back into a state of equilibrium and strengthen immune and hormonal functions. In the wild they are usually found growing on trees. For a herb to be classified as tonic it must embody certain characteristics. Its consumption must not cause harm or place additional stress on the body. It must promote healing within the body via a non-specific action, providing support for all of the body’s vital systems, including the nervous system and immune system. It must be adaptive in nature, assisting the body to overcome any physical, psychological or environmental stressors. All tonic herbs allow the body to up-regulate its capacity to function under stress, whether that be physical, emotional or environmental. Superior herbs (also known as imperial herbs) are the herbs that can be consumed daily with benefits accumulating over time. They were used daily by the wisest and wealthiest people. Regular herbs are the herb that can be used to treat the ailing, these herbs should not be used for an extended period of time as there is a potential for long-term negative side effects. Inferior herbs are primarily considered to be toxic. Inferior herbs should only be used for a short period of time to get a powerful and fast result when treating a serious illness acutely. Jing – Unified to cultivate energy in the kidneys & adrenals, this potent blend supports healthy hormone function, stamina and libido. 1/2 tsp daily every morning. Serve hot. MSM – Known as the ‘beauty mineral’. MSM is a naturally occurring form of organic sulphur. 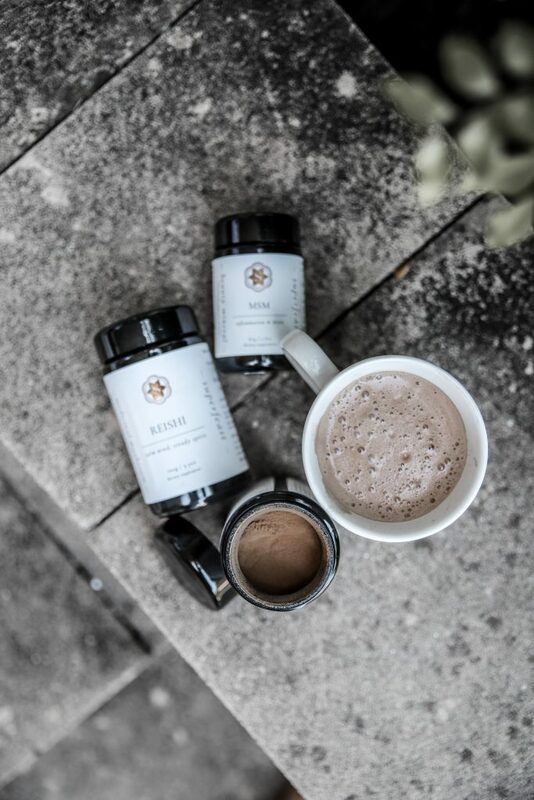 It is considered an essential building block for the hair, skin and nails, as well as supporting joint health, liver detoxification and reducing inflammation. 1/2 tsp daily (morning). Add into your smoothie. Reishi – Used to support the immune system, relieve stress, strengthen the spirit, calm the mind and promote peaceful sleep. 1/2 tsp daily before you go to bed. Stir into hot water (I add a bag of apple tea), sweet with stevia and enjoy.